Master of None is the latest piece of original content from Netflix. It’s a comedy series set in New York, written and created by Aziz Ansari, that highlights the race problems in Hollywood. But it’s not a didactic piece of TV. Instead it’s a strong and unique comedy, with excellent acting and set pieces, and a refreshing perspective on life in New York City. It’s a self reflexive piece of TV. It frequently shows Ansari’s character Dev battling with the representation of Indian men he sees on TV, and the reality he experiences every day. White people are used to seeing themselves front and centre in mass media entertainment. Minority groups aren’t so well depicted. 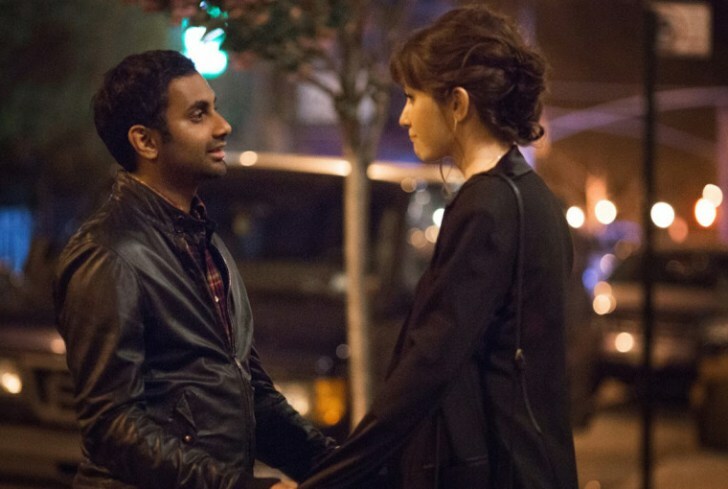 Master of None provides us with Ansari’s perspective and it’s refreshing, honest, and novel. New York is the setting for ‘classic’ sit coms like Friends and Seinfeld. They’re well loved shows, and their format is one that we’re all familiar with. They aren’t shows known for well represented minority groups, and Jerry Seinfeld has frequently been challenged about his show’s apparent racial bias. This clip shows actor Danny Hoch recounting his experiences at an audition on Seinfeld. New York set comedies are still white-ified. Take Lena Dunham’s HBO series Girls (2010). After some criticism about the lack of diversity in her show, she wrote a part for African-American Community star Donald Glover. He played Hannah’s (Dunham) love interest, and their relationship sparked a conversation about politics and race, but the moment stands in isolation. Dunham doesn’t introduce new minority characters. Instead she leaves Glover’s brief appearance as a statement about the difficulty in discussing race. Dunham tried to better represent other voices in Girls but it’s likely that writing for a black character sits outside of her real experiences. Ta-Nehisi Coates argued that Dunham should stick to her “authentic self.” But that raises other problems. Lena Dunham can’t be a spokesperson for underrepresented minority groups. She’s a wealthy and connected white woman. Dunham’s work should be reflective of her, and although she should be challenged to write with more diversity and real world truthfulness, she can’t be expected to speak up for minority groups. The real issue is the fact that white people are frequently the ones to write contemporary stories. We don’t allow for diversity in the creative process. We need more minority groups writing and creating mass media art – that’s where the real diversity comes from. Not a sort of ‘white saviour’ approach, but one that removes the ‘traditional’ voice from the equation. What about our other venerated comedy TV? Louie certainly challenges ideas of white heterosexual masculinity, it explores the complexities and the ugliness of fatherhood, and Louis CK cast black Jamaican actress (Susan Kelechi Watson) as his ex-wife. Their two daughters are white with blonde hair. Susan Kelechi Watson and Louis CK in Louie. Perhaps this is an approach that Lena Dunham could learn from. Louis CK doesn’t write in a black character, instead he finds the best person for the role regardless of race – even if it doesn’t make sense. The actor’s skill set is the priority. It makes me think of other contemporary comedies like Broad City. It’s another auteur driven piece, once more set in New York City, about two young girls negotiating their place in the world. 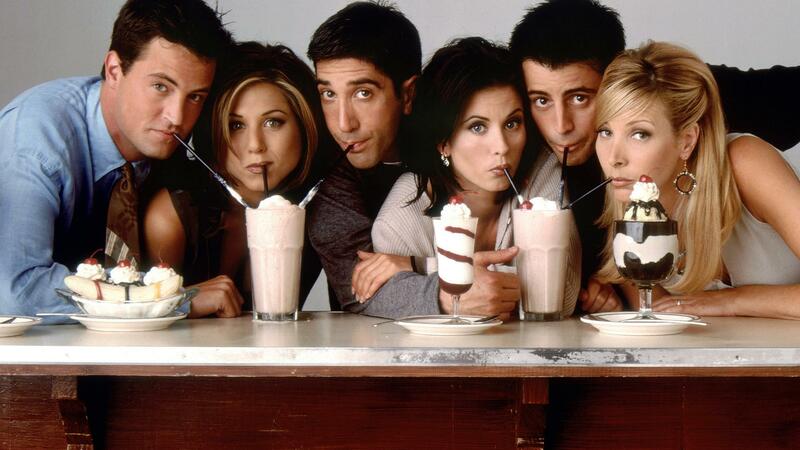 It seems in retrospect that Friends was the high watermark for white-centric comedy TV. There was a decade of How I Met Your Mother but that was the tail end of a trend that included television Like That ‘70s Show. Broad City comes from Abbi Jacobson and Illana Glazer, and their characters (based loosely on themselves) lead messy and ill defined lives. They share their experiences with a diverse group of people, and this stands in marked contrast to Friends. Film has a similar problem with diversity, and most famous films don’t represent minority groups well. Dylan Marron has an illuminating series of videos where he edits a film to highlight only the words spoken by a person of colour. There’s a real diversity problem in mass media, and it’s time we not only addressed it, but actively changed it. Although diversity is still an issue, comedy television is enjoying something of a renaissance. Master of None joins a growing list of excellent auteur driven comedy. There’s Louie, Broad City, Girls, Bored to Death, and The Jim Gaffigan Show. Each of these TV shows has added something new, diverse, and interesting to the mix. And there’s also Maron, Togetherness, and You’re The Worst (although they aren’t set in New York City). US TV comedy is revolutionising what we expect from the medium, and Master of None reflects the best of what current programming has to offer. Ansari’s writing shows the power of emotionally driven comedy, something that his work shares with Louie, Girls, and Broad City. But those shows are more about white experiences, although they do give voices to female writers and actors. TV comedy is more reflective of the diversity of real world experiences than film comedy is. Judd Apatow’s movies have a formula, and it’s the same with Seth Rogen’s and James Franco’s collaborations. Their comedy is driven by stoner laughs and it lacks the weight and gravitas of contemporary TV comedy. The current crop of white male comedy isn’t rebellious; it’s more about malaise, killing time, and refusing to grow up. This is the type of comedy we’ve become accustomed to from Hollywood film, and from some TV shows too, like The League and Workaholics. That’s not to say that there isn’t a place for this type of humour. It just can’t be the only comedy format that we consume. Some white writers do try to discuss race representation, but it’s frequently a brief nod to the problem, rather than a considered conversation. A specific episode of Marc Maron’s show Maron (s03 e04) does explore the problems with minority representation in TV, but again it’s a side note in the show’s legacy. You might have seen Ansari’s Netflix stand up special Live at Madison Square Gardens, or you might have enjoyed his performances in Parks and Recreation, 30 Minutes or Less, and Observe and Report. He’s an actor that’s appeared in a number of famous movies, he’s worked with excellent directors like Jody Hill, and he’s a prolific performer. But it’s his recent TV show Master of None that stands out from his body of work as something unique, original, and truly compelling. Frequently relegated to a supporting role, Ansari more than proves his ability to lead a show with his clever writing, and excellent commentary on minority representation in contemporary entertainment. Vox’s review has the headline “Master of None, Netflix’s brilliant new comedy, is immediately one of TV’s best shows.” The hyperbole is warranted. The premise is simple. Ansari stars as Dev, a 30 something actor living in New York. The narrative hits familiar beats – Dev looking for love, Dev trying to succeed in his career, and Dev hanging out with his friends. But Ansari breathes novelty into the story with his quick wit and likable on screen presence. Working with Alan Yang (Parks and Recreation writer/producer) Ansari’s debut series is confident, driven, and focussed. There’s an excellent episode that juxtaposes Dev’s perspective with his father’s – Dev is portrayed as entitled, he doesn’t want to be late for the latest X-Men movie. His father on the other hand has a nostalgic flashback to his life in America as a young man – the racism he encountered, and the hardships he had to overcome so that Dev could moan about movie times. It’s an excellent piece of writing, and it highlights the experiences of an immigrant, contrasted with the experiences of his assimilated son. The show follows on with an episode about trying to find work as an actor of colour, and it doesn’t pull any punches. The episode opens with a montage of Indian caricatures in contemporary cinema, from Ben Jabituya in Short Circuit, through The Simpsons’s Apu and Mike Myer’s Love Guru, to Ashton Kutcher’s PopChips commercial. Bias, racial or gender, is a point of concern for Master of None, and there’s an episode devoted to the different experiences that men and women have. At every point Ansari and Wang challenge preconceived ideas, and it’s a refreshing approach to the sitcom format. Every episode has a clear theme, and it benefits the actors by providing them with a central point of concern. The performances are considered, and each character is a well thought out person with personality and a sense of realism. Eric Wareheim stars as Dev’s best friend, lending a convincing sense of camaraderie to Dev’s experiences. Their relationship is one that revolves around adventures like finding the best place to eat, and they clearly mine their real world friendship for material for the series. Noel Wells and Aziz Ansari in Master of None. Noel Wells plays Dev’s love interest. She’s a strong casting choice, and her scenes with Dev are funny; full of the pettiness and weirdness that comes along with an intimate relationship. Ansari’s real parents appear in the show as Dev’s, and the show itself is more reminiscent of Ansari’s stand up routine, than any of the other acting work he’s done. This adds to the sense that this is a true story, filtered through a fictional lens. Master of None reminds me most of Curb Your Enthusiasm, but it has a healthy dose of Louie’s unconventional narrative structure. It’s not an easy TV show to define, but that’s exactly what makes it stand out. It’s fresh, new, and unlike what we’ve come to expect from TV sitcoms. 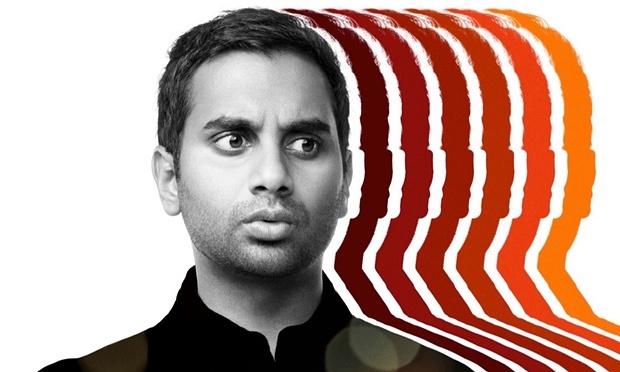 Netflix has struck gold with Aziz Ansari. Master of None speaks with a new voice, and in the process it tells new stories, ones that aren’t bounded by traditional narrative theory, but instead by the real experiences of its writing team. It’s unfortunate that any discussion on Ansari’s show is contextualised by a consideration of minority representation on screen. But it’s for this exact reason that the legacy of the show is so important. It reminds us that we should be tired of the same old stories, with the same old faces. We’ve had enough of white centric (un)realism. Now it’s time for other experiences to be shared and enjoyed. Master of None effectively bridges the gap between social commentary, and good comedy writing. It’s a strong debut series, that reflects the best of Louie, whilst adding in a healthy dose of Woody Allen’s introspective musings on romance. It speaks to all of us. The problems we experience growing up, the doubt and insecurity that plague our decisions, that’s what Master of None explores with such care and thought. In my mind, there’s no recent filmic comedy that has this sort of weight, or even ambition. Ansari joins a growing list of TV comedy auteurs who appear in their own work like Lena Dunham, Larry David, Illana and Abi, Louis CK, Marc Maron, and Jim Gaffigan. Shows like Girls and Broad City allow women a better representation in TV, now it’s the turn of other voices to speak up. Slate created an excellent video about the lack of diversity in TV writing. Watch it via this link. Let’s move past the stereotypes that have defined TV comedy in the past. And let’s hear the voices of the maligned, and underrepresented. Master of None is an excellent place to start.